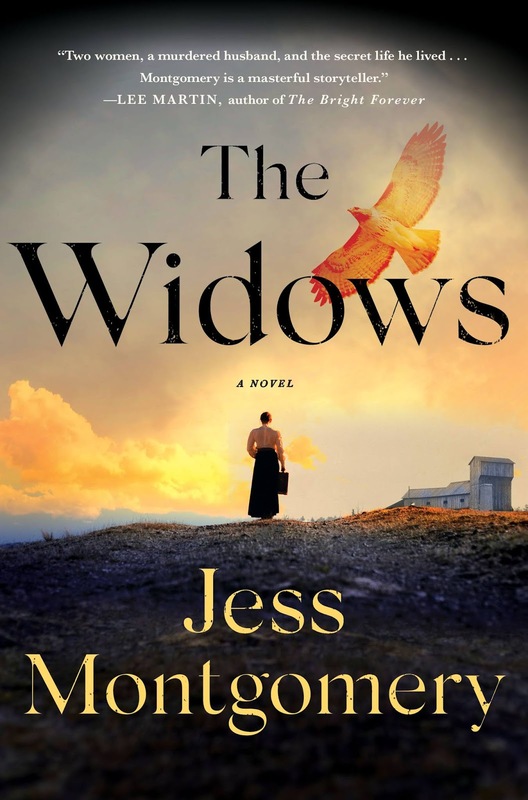 LUCY BURDETTE: We're so excited to be hosting Jess Montgomery and her brand new release, THE WIDOWS. 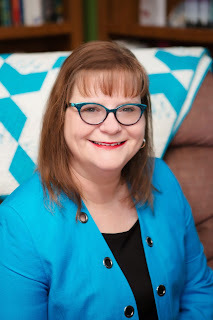 You might know Jess as Sharon Short, who's written a wonderful novel MY ONE SQUARE INCH OF ALASKA, along with several mystery series and many essays and humor columns. But this month she's here to talk about her new historical mystery, written as Jess Montgomery. Welcome Jess! JESS MONTGOMERY: I’m a child of Appalachia—both sides of my family of origin go back generation after generation after generation deep in the hills and hollers (as we pronounced ‘hollows’) in Eastern Kentucky. However, I grew up in a region of Ohio that’s geographically outside the Appalachian foothills of southeastern Ohio—a first-generation “Buckeye,” as I was often teased as a child. Probably not the lyrics an eight-year-old girl ought to learn from her grandmother, but though I couldn’t have described it this way as a young kid, I was enchanted by the ballad’s intrigue, the striking imagery and lovely though dramatic words, the haunting melody and mournful rhythms. I loved singing it while helping Mamaw wind skeins of thread or yarn for her crocheting projects. Such songs—along with quilts, and soup beans and corn pone for supper, and observing aunts and uncles barter tomatoes and canned goods back and forth at the end of each summer, and trips ‘back home’ (as my parents called it even decades after moving north for factory work) to the land where my family members were tobacco and subsistence farmers—formed the backdrop of my childhood. What was amazing is that my school’s drama teacher allowed me to produce and direct it. Even more amazing—I cast in the lead male role a young man who I’d later date and marry. Thirty-plus years later, we’re still happily married—a pretty great outcome for a self-penned and produced high school musical! But in the middle-class, suburban high school I attended, the audience of my peers was a bit less than, well, receptive. It wasn’t just that the tunes I wrote were pretty amateurish. (I was 17, after all.) I think the dialect and subject matter and characters were odd and jarring to them. As years went by, I never wrote directly about Appalachian characters. Looking back, I was probably somewhat burned by the reception of my murder-mystery/love-story musical. I’ve always felt a bit at odds with where I fit—not geographically born into Appalachia, and yet formed by the region more deeply than where I actually was born and grew up. Then, a few years ago, we were planning our first trip to visit our younger daughter for her birthday weekend at Ohio University, in Athens County, Ohio—the Appalachian foothills. I ran across a tourism website for Vinton County (just southwest of Athens County), which featured Maude Collins, Ohio’s true first female sheriff in 1925 after her husband was killed in the line of duty while writing a speeding ticket. Maude worked as her husband’s jail matron in the small jail attached to the county-owned sheriff’s house, where they lived with their five children. The story goes that Maude was packing up to go back to her parents in West Virginia when the county commissioners came by and asked, “Where you goin’, Maude,” and then further inquired as to whether she’d fill out her husband’s term. She would and did, and in 1926, was elected in her own right as sheriff—in a landslide. My imagination immediately went to work: what if great mystery surrounded the murder of the sheriff? What if he was allegedly killed by a prisoner he was transporting—and that prisoner supposedly ran off? What if his widow didn’t accept that easy explanation, but did accept the role of sheriff—just so she could investigate his murder? And so, Lily Ross came into being. Along with an unlikely ally—Marvena Whitcomb, herself a widow after her common law husband dies in a coal mining cave in, a union organizer, and a childhood friend of Lily’s husband—Lily sets to investigating the murder. Their sleuthing plays out against a backdrop of women’s rights, worker’s rights, union miners sparring with management, coal mining, and prohibition. But the setting—1920s Appalachia—is as much a character in the story as Lily and Marvena. So at last, I could come full circle and embrace my Appalachian roots in my writing—lore, dialect, food, attitudes, customs, crafts, music. More importantly, as I shaped the strong female cast of THE WIDOWS, I particularly drew on the paternal side of my family of origin—my grandmother, aunts, great aunts, and a cousin—and memories of their quiet strength, their traditions. I thought about travelling with my parents down winding roads, deep in the night, to finally come to my grandma’s tiny house, set on a sloped lawn that bloomed with purple phlox in the spring. In any season, she always had some treat waiting for me—a slice of pie, or of her delicious dried-apple stack cake, or sorghum cookies, and a big glass of fresh cold milk. I didn’t live with her, but somehow, each visit with her deep in the heart of Appalachia felt like coming home. Though THE WIDOWS is fully a story of my imagination, its threads include not just the inspiration of Maude, but the inspiration of these deep roots. Writing it, in many ways, feels like finally coming home. For Jess, that dried-apple stack cake evoked a sense of "home." What food, person, or activity most evokes home for you? About the Book: Set in the coal-mining town of Kinship, Ohio in 1925, The Widows is about two women from different worlds, whose lives collide when the man they both love is found murdered. When Lily Ross learns that her husband, Daniel Ross, Kinship’s widely respected sheriff, has been killed while transporting a prisoner, she is devastated and vows to avenge his death. Hours after his funeral, a stranger appears at her door. Marvena Whitcomb, a hardscrabble coal miner’s widow, is unaware that Daniel has been killed, and begs to speak with him about her missing daughter. In the course of their encounter, these two women—who live only miles apart but come from entirely different worlds—realize that Daniel was not the man they believed him to be—and that his murder is far more complex than either of them could have imagined. In order to uncover the truth, Lily and Marvena must work together and eventually learn to trust one another if they are going to find Daniel’s killer—and save their community. While The Widows is a work of fiction, the plot was inspired by the true stories of two women: Maude Collins, the first female sheriff in the state of Ohio, whose husband died in the line of duty under mysterious circumstances in 1925, and by Mary Harris “Mother” Jones, the prominent labor and community organizer. The Widows explores the dangers of coal mining, the history of unionization, and the struggle for women’s rights. Congratulations on your new book, Jess . . . I love stories filled with tradition and a strong sense of place so I’m looking forward to reading “The Widows” . . . .
Baking bread evokes home for me. As a child, I can remember coming home from school to find my mom baking bread [something she did a lot of in the winter when the furnace continually refused to work]. Of course, she’d always slice a still-warm loaf when we came in . . . Jean and I would each eat a slice with butter melting into the warm bread. The smell of baking bread can transport me to my mom’s kitchen in an instant . . . . Thank you, Joan! Oh, that homecoming to the scent of warm, just-baked bread sounds so lovely! What a fabulous memory. Thank you for sharing it! This was my kitchen just yesterday, pumpernickel this week. What a lovely story, Jess - and what a perfect twist on the real Maude. I think you just gave ME an inspiration, too. I have been wanting to do something with my grandmother's 1917 journal detailing her automobile drive across country at age 17 with her younger brother. I might have just figured out how to twist the real story. Am off to order your book! I grew up in a southern California home, old for the neighborhood, with a huge gardenia bush outside my bedroom window. The scent of gardenia and the taste a perfect local peach (we had all kinds of fruit trees in the back yard), those evoke home for me. The scent of gardenia and taste of peach--so lovely and warm. Especially on this snowy day! Oh, wow! Your book sounds really interesting. I have Ozark roots, not Appalachian, but hillbilly is hillbilly, and your memories of your childhood bring back my own memories of going with my grandfather down to "Booger County" (Douglas County, Missouri) to clean up and decorate tiny family cemeteries in the spring. Mountain culture is deep and rich in music, art, and sheer survival, and the women who rise from it are not to be tangled with lightly. As a kid, I remember being enchanted by the quilts my great aunt made for us, tracing my finger around the pieces of Sunbonnet Sue and Cake Stand. As a young woman I was inspired to make quilts of my own and, since hillbilly grandmothers were much-prized sources of quilting lore in the 1970s, I asked my own hillbilly grandmother to teach me how to quilt. She just gave me "that look" and said, "Oh, honey, you can get real nice store-bought blankets now." Grandma was a great cook, but my favorite dish was stewed chicken with home-made noodles. She taught me how to make it, although I haven't in years. I still love the smell of a whole chicken simmering in a big stewpot. Do you know how to make your grandmother's dried apple stack cake? Do you ever make your own? Can you share the recipe? Good morning, Gigi! We used to go 'decorate the graves' in the spring, too. And my grandmother was quite a quilter. I have many of her quilts. My other grandmother crocheted lace. I learned to, sort of, crochet yarn scarfs and embroider, but I wasn't good at either, and haven't taken to the fabric arts, though I greatly admire them. Now I want to go make chicken noodles. It's a good cold day for it! I have to give Grandma credit. She might not have liked to sew or quilt, but she was a really good knitter and could crochet anything. She taught me both of those skills, but I haven't kept up with the knitting. Your step-mother reminds me, in turn, of an excellent West Texas cook I knew. Once, when I brought pies to Thanksgiving, she complimented me on my crust. I stammered out some kind of thanks, then she winked at me and said, "You know, you can buy really good roll-out crusts at the store now. I never make crust from scratch anymore." Which is, of course, exactly what I had done. Appalachian/Ozark/West Texas women: you just can't beat 'em! Enjoy your cold day of cooking! I read this book and LOVED it! It's a one-off. Surprising and moving, with a vivid sense of place. So count me a Jess Montgomery slash Lily Ross slash Marvena Whitcomb fan. It's a book tat should have Hollywood calling! What evokes 'home' for me? I know it sounds corny but apple pie. Homemade of course so the house smells delicious, too. Also coffee in the morning. Mmmm. Apple pie. That's my go-to pie to make for friends in need. I recently stayed at a hostel (first time ever) with my daughter at the start of a road trip. (She was moving home from California, and invited me out to drive with her.) She knows how I love pie, and making pie, so she wondered... would I make a pie for the folks staying at the hostel? I've made pie often enough that I have my go-to crust recipe memorized, as well as for the apple filling. It was a fun moment to make, as she put it, "Pie for the People." I think Marvena especially would approve. In any case, the lodgers were very happy! This sounds amazing! And the cover is beautiful, and congratulations and… Oh, so exciting! What reminds me of back home in Indiana? The smell of freshly cut grass, for some weird reason. Also there is a fragrance from the state fair, which I think must be a combination of fried dough and lemonade and horses, I don’t know. Hard to describe, but it’s so instantly nostalgic. And cinnamon rolls! Baking cinnamon rolls… The best! And turkey, turkey fragrance on Thanksgiving. Oh, what a fun way to start the day today! Ah yes, Thanksgiving. That's actually my favorite holiday! Freshly cut grass in the spring/early summer--lovely! I haven't thought about a state fair scent, but I think you've nailed it! I do love cinnamon rolls. And cinnamon flavored coffee! xoxoo Come over and we will make both of them! Good morning Jess! I am almost finished with the book, which is remarkable. Please tell us how in the world you got the research right? And are the characters based on real life people? Lucy, thank you so much for hosting me! I'm glad you're enjoying THE WIDOWS. Lily is inspired by the real-life Maude Collins, who became Ohio's first female sheriff in 1925. Marvena is inspired--in spirit, at least--by Mother Jones, a union organizer of the era. The Battle for Blair Mountain, referenced in the novel, is completely (shockingly) true. Funny story re: research... one day, my husband came home from work and asked me how my writing went. "No! Lily is making eggs for her children, but I don't know what kind of egg beater she would have used in 1925! I've spent all day trying to figure this out!" After a long pause, my dear husband said, as gently as possible, "Um... couldn't she use... a fork?" It was a great moment, not only because it made me laugh (still does!) but because it helped me realize that while it's important to get historical setting and details just right, I'm not writing a nonfiction historical treatise. Sometimes... just use the fork! On the other hand, I later found a 1925 egg beater at a vintage store. I bought it! Not to beat eggs, mind you. I keep it in my home office as a reminder of doing thorough research, but balancing it with story and keeping it all in perspective! Characters, plot, and setting. Your latest sounds like a winner! What smells like home? Chocolate chip muffins. I make chocolate chip pancakes for our children when they're home--and even use a little batter to make their first initials. They're 27 and 25, so they always chuckle. But I think they like that I still do that! Now I wonder what makes my children think of "home". Hmm. Curling up and reading is my deepest memory, from every version of home in my life. The aromas of cooking, too: my mother was the family scratch baker, and she was whizbang at making German chocolate and carrot cakes. My dad taught me savory cooking: Swiss steak, fried chicken, stuffed pork chops. I think of them both when I cook. How wonderful to think of them when you cook or bake! Those dishes and desserts sound amazing. I'm hopeful our daughters think of us when they cook or bake, too. My husband loves to make red beans and rice (he went to college in New Orleans), so that was a family staple. And I make a lot of pies! So, they know how to make crusts and fillings. We have traditional Christmas treats we make together too. At one time we had some land in Ohio near Wheeling WV. I'm familiar with transplants from Appalachia! My Mom's families were rolling stones. They left Arkansas in the late 1800s andlanded first in Texas. The Depression scattered them all the way to California. I guess the thing that reminds me most of home is ice tea. Grandma made gallons of it daily. Your book sounds fabulous! Thank you! I hope you get to read THE WIDOWS, and enjoy it too. Ice tea--so refreshing. Did she make sweet tea? Jess, I'm waiting impatiently for your book to arrive. Whereabouts in Eastern Kentucky? My roots lie on Brushy in Lawrence County, and my mother spent years trying to recreate her mother's stacked apple cake for Christmas. And although each try was equally delicious, she never made one which she felt measured up to her mom's. The smell that takes me back to my mother's kitchen is that of peanutbutter fudge--another Christmas treat! I understand how your mother felt. I don't think I'll ever make one that lives up to my memory of Grandma's. But I can have fun trying. Peanut butter fudge is one of our younger daughter's favorites! Learned something new about my mentor/(former) boss/friend Sharon (and her sweetie!) in today's post! 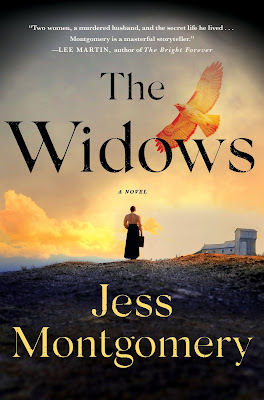 My mother's family came up through Appalachia from North Carolina/Tennessee and brought with them many of the foods, songs, and traditions Jess weaves through "The Widows." Reading it is like a visit to Grandma's. Waves happily at Cyndi, dear friend and mentor-to-me-too-though-she-won't-believe-it. I'm glad you recognize those elements and traditions in THE WIDOWS. I hope it feels like a good, warm, welcoming visit! Congratulations, Jess! I love it when we can mind our family for inspiration. I agree! I hope I've made my family proud... and that the aunts/grandmothers I mention in the acknowledgments are smiling down from heaven. Welcome Jess. Any book that gets a thumbs up from the Reds immediately goes on my TBR list so consider "The Widows" in! I now live a short 40 minute drive from where I grew up. I'm able to "go home" frequently and visit the places that inhabit my childhood memories. It's "places" that take me back, more so than food. How lovely to be able to visit in person the places of your childhood memories. I know I must read this book as I'm pretty sure Jess and I were separated at birth. I have the same memories of my grandmother including cemetery visits on Decoration Day and bread baking. The latter I do to this day. Off to Amazon to spend yet more of my discretionary income. Ann, thank you so much for spending income and time with THE WIDOWS! If you like, email me at jessmontgomeryauthor@gmail.com, and I'll send along an autographed book sticker for your book! In any case, I hope you enjoy it. I rarely 'decorate the graves' now, and I'm getting better at bread baking. Pie is my usual thing. But it's time to up my bread game! THE WIDOWS seems to be everywhere, including a glowing review in my local paper, the Portland Press Herald! I'm very excited about reading this. Jess, I'm sure you've been told this a thousand times, but your personal story reminded me instantly of JD Vance's memoir, HILLBILLY ELEGY - not the political proscriptions, but the intimate look at a peoples that were separate but never distant from their hill culture. For anyone interested in the historical and social roots of Appalachia, I highly recommend BORN FIGHTING:How the Scots-Irish Shaped America by Jim Webb and ALBION'S SEED: Four British Folkways in America by David Hackett Fisher. Julia--Portland! How wonderful! Thank you for letting me know! Thank you for the recommendations of the other two books! I wasn't aware of those, but they are definitely going on my TBR list! Jess, your book sounds absolutely fascinating! I envy you that strong family connection. Although both sides of my family may have come originally from those Appalachian roots, my parents cut as many ties as they possibly could to any sort of "country" background. My mom was a scratch pie maker when I was a kid, but switched to bran muffins when I was in my teens--not so many good memories of those! But nothing means home more to me than the smell of bread baking. Ann and I were also separated at birth! Truth be told--my mom had a real love/hate relationship with her Appalachian roots. (It's complicated...) But my dad always loved and embraced his roots, as did all of his kin. My good feelings and memories of growing up Appalachian come mainly from my dad's side of the family, though my mom's side gets credit too. I think families are always complicated, no matter where they come from! Bread baking... mmmmm.... just thinking about it makes me want to go stir up a batch! Jess, we grew up not too far from each other, although far apart in what cultures we experienced. I grew up in Maysville, Kentucky, which is across from Aberdeen, Ohio, and Maysville is located on the Ohio River halfway between Cincinnati, Ohio and Ashland, Kentucky. We had lovely hills surrounding our town, and I sorely missed them when I married and moved to western Kentucky, but our hills were just the baby bumps of the Appalachian on further east. We weren't northern Kentucky and we weren't eastern Kentucky. We were probably more influenced by Southern culture than either of those areas. After all, the sign on our bridge stated that we were "the gateway to the South." Hahaha! So, while you got the richness of the Appalachian culture, it didn't quite reach us. I am intrigued by it though, and I've read Silas House's Clay's Quilt, The Coal Tattoo, and A Parchment of Leaves. I am thrilled that you written this book that is going on my TBR list immediately. Food that always takes me back home is food I can only get back home, country ham done right and transparent pie. I have brought both back with me many times so I can have a taste of home where I am now (and have been for 42 years). And, any mention of water witching or dowsing takes me back to growing up with my father, who was in real estate, always keeping a special forked branch in his boot (now, that we got from Appalachia, and I'll be curious who all knows what a boot is, not a shoe) to find water on farms. Oh, I have many memories of driving through Maysville to get to "our" part of Kentucky! Ham, oh yes. We had salted ham for many a meal. Interesting re: the water witching/dowsing! I love it when a book has a completely GREAT opening part and this one had a doosey. I was snared from the begin and read it in only a couple of settings, life dependably intercedes when you have a decent book to peruse. I was drawn into the majority of the characters, Lily, Marvena, Daniel, George, Luther, and the families, despite the fact that this is a fiction book, it peruses as though everything could be valid. Nothing appeared to be mind blowing. Thank you for the comment on the opening! I'm glad it snared you. I admit, I really worked hard on it! Jess, the book does sound quite intriguing to say the least. I'm not normally a huge fan of historical fiction, but when I do find a particular story that I like, I really go full force into it. As for food, person or activity that feels like home, I'm not sure that I have any of those anymore. Growing up, Thanksgiving meant my mother making lots of pies. The smell of the house for a week with all those fruit pies (and sadly, that awful mincemeat smell) definitely evoked that feeling of home. The people would've been my parents. I never really had the kind of I hate and have to get far away from them kind of feeling when it came to them. But since they are both gone, there's no sense of that anymore or with the food. As for activity, I spent 25 years coaching youth basketball and that always felt like home to me. I was involved in just about all aspects of the league. But that ended as well. So I guess the closest I come these days is just simply being in my home. Hi Jay! I love that idea of coaching feeling like home to you. Writing feels like home to me in many ways, so I get that. All the kids you helped along the way! Terrific! Our daughters each played youth basketball and other youth sports through high school, and then played rec sports in college--one playing rugby, the other doing tae kwon do and rowing. One is now in the military, and the other is going into law. Both of them have fond memories of their coaches, and cite lessons learned along the way. I'm sure there are many young people who feel that way about your coaching, too--and take those lessons into their own lives and homes. Hi, Jess, this looks fantastic! I can't wait to read it, especially since I grew up on the north end of the Appalachian trail in western CT. It was a small town, lots of odd ducks, and strange characters, which may explain my fiction. As for food, there were an abundance of dairy farms and apple orchards in my childhood so those are my comfort foods. Thank you, Jenn! Western CT sounds so appealing! You're making me want to visit! I could find a hostel there, and make everyone apple pie. Perhaps a la mode, with the dairy farms! Jess, I am sorry to be so late to the party! It was a pleasure meeting you at Malice and chatting about historical fiction. I am very much looking forward to reading The Widows. I am from a small Louisiana town and my connection to my cultural history is strong. It is present in every story I write, no matter the location. Ramona--welcome to the party at any time! I enjoyed chatting about historical fiction with you, too. I'll be at this year's Malice Domestic again, and hopefully we'll see each other there. Isn't it fascinating how setting infuses into our characters, through us? Whether it's the setting of the story or the setting that formed us?